It should be easy for a leftist to concede that not all criticism of conservatives is of equal validity or equal persuasiveness. Personally, I think a fundamental requirement of intellectual honesty is to make sure your arguments are fair, and that you are not distorting the truth for ideological reasons. It’s also important, if you are actually trying to advance your ideas, to think about which points are the most likely to convince people rather than which ones are the most satisfying. I have strongly criticized the Democratic Party in particular for its habit of throwing every criticism it can think of at Donald Trump, instead of selecting and emphasizing the criticisms that have the most substantive merit. For example, Chuck Schumer recently condemned Trump for issuing a commemorative coin with Kim Jong Un’s face on it. I am fairly sure that (1) hardly anybody cares about this and (2) the strategy of painting Trump as “soft on North Korea” is both doomed and stupid. I have a trans daughter, but that was hardly an issue compared to what I felt was a betrayal of my trust and confidence in him. It was an abuse of the trust that comes with his professorial position, which I had fought for, to have misrepresented gender science by dismissing the evidence that the relationship of gender to biology is not absolute and to have made the claim that he could be jailed when, at worst, he could be fined. In his defence, Jordan told me if he refused to pay the fine he could go to jail. That is not the same as being jailed for what you say, but it did ennoble him as a would-be martyr in the defence of free speech. Why don’t I think Schiff’s article is a very powerful criticism of Peterson? Because, generally speaking, I don’t think calling someone a brilliant, dangerous, maverick who changes lives is a particularly good way of getting people to question them. Here is one of my tests for whether a criticism is going to be powerful: Does it reinforce the person’s self-conception or undermine it? At one point in the 2016 campaign, Hillary Clinton tried to call Donald Trump “dangerous Donald.” It made him sound like exactly what he wanted to convince people he was: a man who terrified the political establishment. When Milo Yiannopoulos was called dangerous, he embraced it as a brand and used it to sell books. Jordan Peterson likes to think of himself as a genius who has happened upon truths that “have been kept secret from the foundation of the world,” and who is upsetting the stuffy academics who attack his style because they cannot handle his arguments. What could better confirm this than a long lament by a stuffy academic who dwells mostly on Peterson’s style without really engaging his substantive arguments? Even in his own portrayal, Schiff is a sap with poor judgment, a man who convinced his rightly-skeptical colleagues to embrace a man who turned out to have poor ethics, delusions of grandeur, and a willingness to misrepresent reality. To me, however, Schiff looks even worse than that. He is still naïve about Peterson. He still apparently thinks Maps of Meaning is a serious contribution to academic psychology rather than the ravings of a glib and voluble crank. He still doesn’t understand that Peterson was never a real “thinker,” and has to assume Peterson has “changed” or “gotten worse” because the truth would reflect so badly on Schiff and the entire University of Toronto psychology department. He continues to heap totally-unjustified praise on Peterson, building Peterson up as a “rogue intellectual” even while insisting that the opposite is the case. He even coins the phrase “social order warrior,” which Peterson would probably proudly embrace. Some of the supposed criticisms aren’t even criticisms. Schiff thinks being “extreme” is in and of itself bad, which it isn’t. And I detect a hint of the odd liberal tendency to find “indecency” worse than “injustice”; Schiff says that even though he has a trans daughter, that “was hardly an issue” compared to Peterson’s personal betrayal of Schiff. But it should be the other way around: The fact that Peterson may have misled his friends is nothing compared to the harm that his views may do to the social acceptance of transgender people. Schiff seems to care a lot about norms: yes, Peterson misrepresented science, but in doings so he “abused the trust” of the “professorial position,” and it seems to be the violation of trust rather than the actual problems with Peterson’s arguments that most concerns Schiff. Oh, God, and Schiff seems to even defend the idea of sending Peterson to jail if he refused to pay a fine for failing to use a pronoun correctly. My guess is that if you didn’t already dislike Peterson, you’re unlikely to do so after reading Schiff’s article. I also doubt many of his followers will be particularly unsettled by most of what Schiff has to say. Indeed, responses on Peterson’s Twitter feed suggest that most of his followers think Schiff simply sounds petty, jealous, and bombastic. Schiff does make a number of criticisms that aren’t just ad hominem, saying that Peterson has a “now-questionable relationship to truth, intellectual integrity and common decency,” that his “output is voluminous and filled with oversimplifications which obscure or misrepresent complex matters in the service of a message which is difficult to pin down” But those are serious claims requiring serious support, and Schiff dwells mostly on the personal side of things. LOATHER: Why do you expect anything deeper than what Peterson provides? You want my critique of Heidegger, I will give you pages.You want my critique of a clown, it’ll be laughter. You’re not entitled to anyone inventing intellectual depth on his part just because you wish he had it. 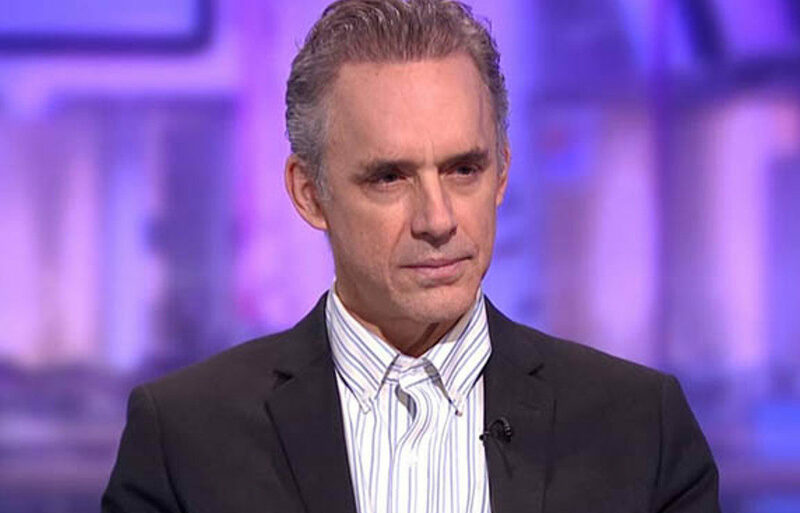 To see an example of the type of criticism I mean, we can look at Eric Levitz’s article about Peterson in New York magazine, “Jordan Peterson Does Not Support ‘Equality of Opportunity.’” Levitz’s conclusions are just as critical as Schiff’s, but they are much harder for Peterson and his supporters to write off. For one thing, they are not personal: They are a direct attack on Peterson’s “ideas,” and they show with precise and forceful logic why Peterson’s political ideology is an ignorant mess. [Progressives feel] it safe to say that the economic chasm between black and white households might have something to do with the fact that, for most of American history, chattel slavery, Jim Crow laws, and discriminatory housing policies barred the vast majority of African-Americans from the opportunity to accrue wealth. And liberals are also fairly confident that “hierarchies of competence” do not fully explain the disparate market incomes of the one percent and middle class, in a nation where beloved public school teachers live on the edge of poverty, and Donald Trump lives in the White House. The fact that the market delivers enormous rewards to people who design collateralized debt obligations — and piddling ones to those who care for the elderly — is a reflection of government policy, not metaphysical truth. Jordan Peterson owes his newfound fortune to the construct of “intellectual property rights,” and the willingness of nation-states to enforce such rights through coercion. A single mother raising four children — whose labor will one day help subsidize Peterson’s Old Age Security pension — receives no compensation for her efforts, because policy makers have chosen not to make a similar “intervention” in the market on her behalf. Levitz points out that critics of social justice like Peterson and Shapiro pretend to be interested in ideas, yet ignore actual existing left-wing principles and policies in order to beat up on the most extreme caricature of the teenage campus activist. As Levitz says,“instead of engaging in an honest debate about whether equality of opportunity exists in the United States, they chose to misconstrue their point-of-contention with “SJWs” — and proceed to delegitimize concerns over structural inequality by equating them with a totalitarian ideology.” This is the crucial point. I do not care very much whether Jordan Peterson’s University of Toronto colleagues felt betrayed and disappointed by him, or whether they think he is bizarre and unpleasant. (He is.) I don’t think many members of the general public care what they think, either. We can criticize people like Jordan Peterson and Donald Trump, for being rude, dangerous, depraved, apocalyptic, untrustworthy. But they will correctly point out that these are the exact things someone would say who could not actually offer a better and more accurate vision of the world. We could say “He’s brilliant, but he’s lost his way.” But a lot of people will just hear “He’s brilliant.” (For God’s sake, never say “He’s brilliant, but…” about someone who is obviously not at all brilliant but would very much like to have his enemies say that he is.) Instead of making it personal, then, I recommend directing one’s attention to the core of their noxious ideology, helping people understand why it is so shallow, stupid, and immoral rather than simply calling it those things. And we can’t lure people away from these ideas until we have better ones of our own, and can articulate them with greater intellectual precision, greater moral force, and greater persuasive power. My new essay collection, Interesting Times, is now available!